Stream hub kodi repo is yet another repo for entertainment which can stream movies, tv shows, etc. But one of the unique features of this repo is they can stream the same content in various quality such as 4K, HD(1080p), 720p, 360p. By doing this it helps the Kodi user who has limited bandwidth. Stream hub and Flixanity are some of the famous add-ons from this repo. Open kodi on your device. Select settings icon (gear icon) from the top left corner of the screen. From the system settings menu, select file manager. double click add source to add a new external or internal source. In the add file source dialog box. Select none. Enter any name to identify this media source. Select OK. Select package installer or unzipper icon which is at the top left corner of the screen. Select install from Zip file. And chose the name you had given. Wait for some time to install the repository, Once the repository is installed you will receive a successful installation notification. Select Install from repository followed by stream hub repo. Select video addon subcategory and select Stream hub or Flixanity. In the information page, Select install from it. Wait for some time to receive addon enabled notification. There are some reasons why can we navigate to flixanity. By keeping the usage of data in mind, flixanity developed in such a way that it can stream same content in different quality such as 4K, HD(1080p), 720p, 360p. By doing so the user can watch the high-quality video with minimum bandwidth. 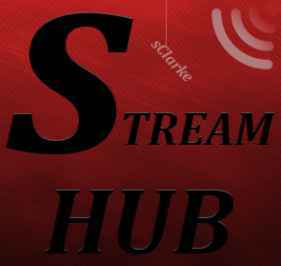 That’s all about the installation of stream hub kodi repo and its popular addons.